Geezer Skier: Where Are the Geezers? Greek Peak has had a slow start for the 2012-13 ski season but today things are looking up. Over a foot of snow falling last night enabled opening several lifts and many more trails. However, I am wondering where are all the geezers? Perhaps last season was so discouraging that some have dropped out or maybe they are waiting for the holiday crowds to disappear. At least there were a few of the geezers available for coffee yesterday. Welcome back Alan! 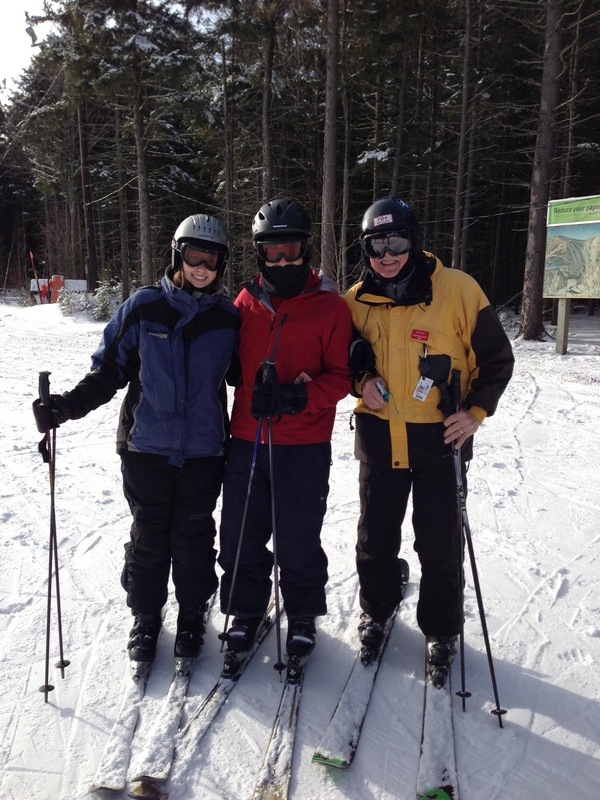 Glad to see you returning to the slopes. 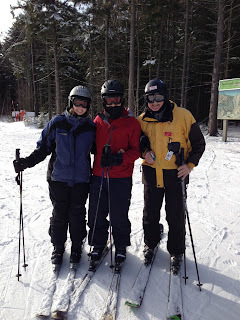 In lieu of geezers to ski with, I was happy to enjoy the company of my daughter and son-in-law on the 24th of December. There were a limited number of trails and lots of people, but we had an enjoyable early morning session before the major crowds arrived for the free ski day. Most geezers would seriously avoid the free day but I like seeing people enjoying the slopes. I am amazed at the variety of skis that show up on that day. Some of them are real antiques. I am looking forward to convening the coffee breaks for the geezer crowd after the holidays. I hope there will be some new stories.